Want to enjoy your wedding photos for years to come? Then you MUST get an album! If I had a pound for the number of times that I heard one of my wedding couples tell me that they had still yet to print out any of their wedding photos, I'd be a rich man! 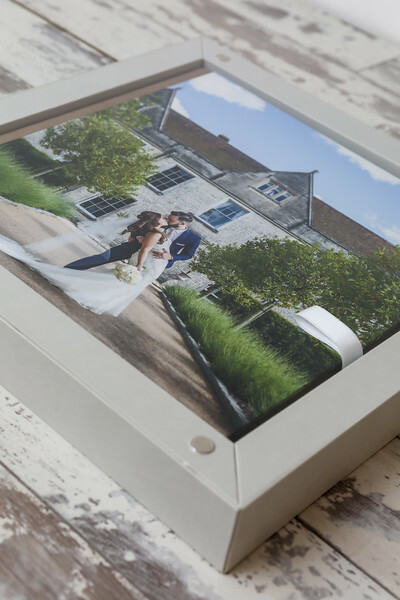 Sadly, a large percentage of couples do exactly that - take their USB stick containing all of their wedding images, and store it in a drawer with a view that they'll "get around" to ordering some prints or making their own album when they have a quiet weekend in the near future. How many then actually do follow up that intention... not many I can sadly disclose. This means that all those beautiful images and amazing memories don't get immortalised or become accessible for you to view and stumble across in your busy lives. The frightful reality is that they become forgotten about, unloved and in many ways in grave danger of getting lost forever (yes people lose the USBs, or years down the line technology changes and that trusty USB becomes obsolete!). Photographs provide us with a window to specific memories - if we don't make use of these windows, it makes it all that more difficult to reminisce or fully remember certain things that happened. This is the whole purpose of photography, to capture and freeze those moments of time as a snapshot which will act as a reminder for the rest of our lives, and also our families lives. It's, for this reason, I honestly believe that you MUST have an album for your wedding photos! 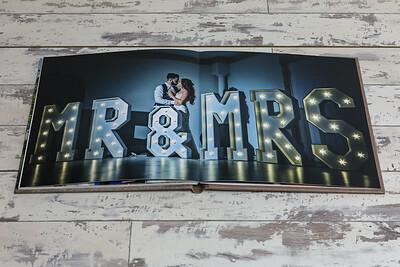 Having an album will ensure that you enjoy your wedding photographs and supply you with constant happy memories of your big day and all the special loved ones who spent it with you. 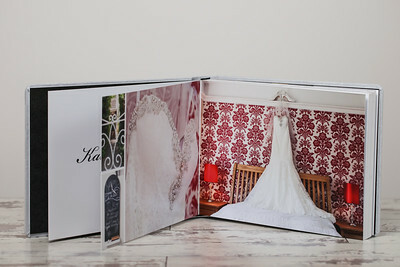 Ask any couple who have a wedding album if they ever regret having one? I'm yet to meet a couple who would claim to do so! 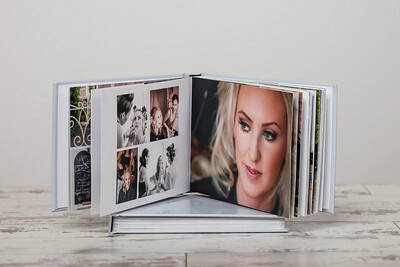 An album is a perfect and fitting tribute to your photographs, showcasing them in all their glory and reproducing them to the highest degree; your photos have been captured to a professional level, then edited to a professional level - they deserve to retain that quality by being printed by a professional lab and on professional/top quality products. So, say goodbye to forgotten memories, and ensure yours live on for a lifetime by having an album, and a family heirloom that you'll be able to pass on to the children. 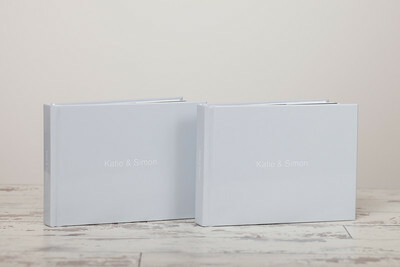 These are our storybook range of wedding albums. 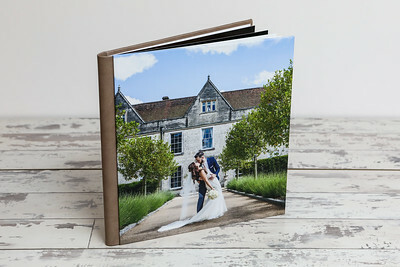 They are 30cm x 20cm in size and offer a wide choice of cover finishes from; leather (with names debossed into it), photographic hardback, photographic metal, suede to also acrylic. 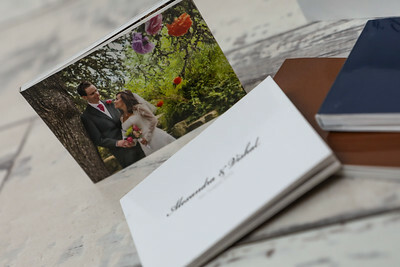 These albums are made in Italy and are beautifully crafted and printed using top quality materials and immaculate printing to the highest reproduction. The storybook is designed so that it can lay open flat on the table, with photos able to run across the centrefold without any concerns. This is a brand new album product. 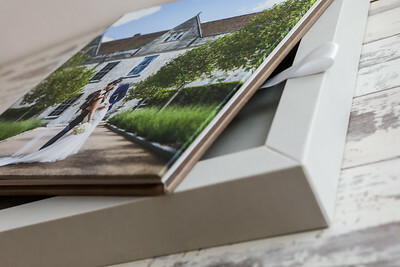 It's a revolutionary solution as far as albums go - it doubles up as a framed picture as well as being a wedding album. The album sits in a presentation box frame which features a clear piece of acrylic (held in place by small magnets) which in effect, create's a framed image. You can position the framed album on a mantlepiece or shelf within your home so that it can remain on display like a large framed print. Then when you wish to view your album, you can retrieve it from the presentation box and flick through the pages at your leisure, before then returning it back to its box again after use. This is an absolutely stunning and genius product which is proving incredibly popular with our brides. 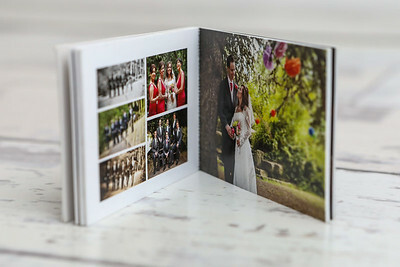 We can also provide smaller album solutions for parents and other family members which make fabulous gifts and keepsakes for your loved ones. 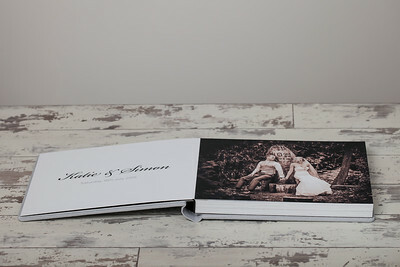 These come in pairs and replicate the exact same layout as the bride & groom's album. 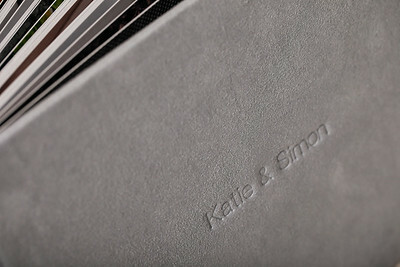 The covers are hard backed, with a choice of gloss or matt finish. A very affordable option for any couple who would like to give a small thank you to their parents for helping them with the wedding. 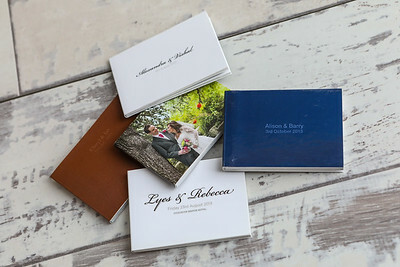 If you're looking for a very token gift or thank you for your bridal party and or some family and friends - look no further than these cute and novel pocket albums. 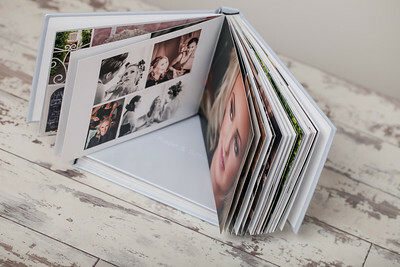 These are sold in a bulk of 30, and like the parent albums, replicate the exact same layout as the bride and groom's album page-for-page. 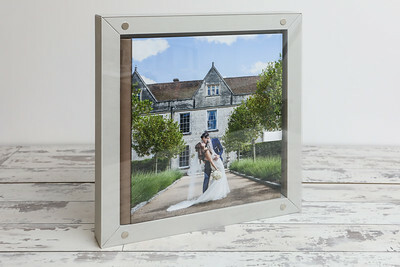 Another affordable gift idea that will be unique and provide a lovely keepsake of your special day.